High quality t-shirt at a really decent price! Ordered two and will definitely order more! Cool shirt with a little advertising...hey, why not? Great for the gym or just hanging out. Great fitting and looking tee from a great shop!!! 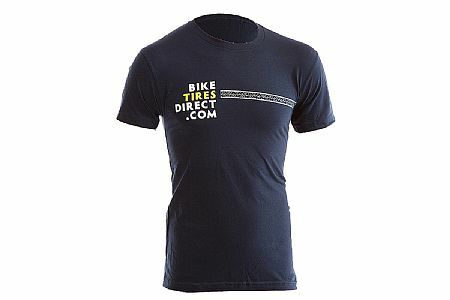 BikeTiresDirect T-shirt are great! Soft and comfortable. Size runs true. Bought 3 of them. I bought 3 of these T-shirts . Wear them a lot. Very soft and comfortable. Sizes run true to other more expensive shirts. I wear Medium from other companies and your medium is same size as those. Beautiful blue color. I think I have gotten you some business too! !